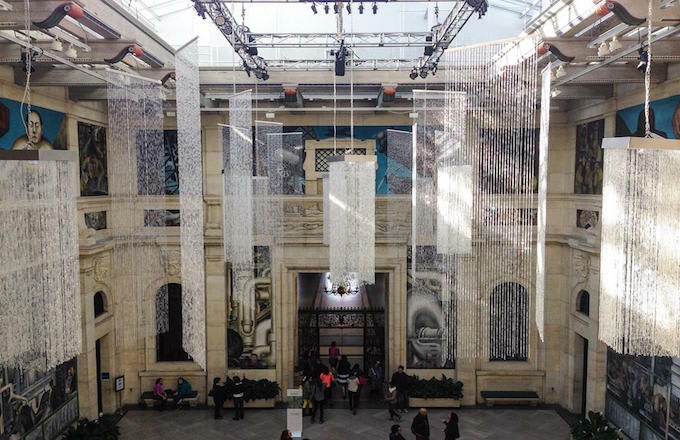 Last year was a rough one for the folks of Detroit and the Detroit Institute of Arts. To pay off some of its overwhelming debt, there was the possibility that the city would sell some of its art collection under pressure from bankruptcy creditors. There was a lot of back and forth as the institute and the city tried to find a way to keep the art where it is, and according to the New York Times, a decision has been made and the art is now safe. "At the center of Detroit’s swift exit on Friday from the nation’s largest-ever municipal bankruptcy is a $816 million deal that has come to be known as "the grand bargain," writes Monica Davey for the Times, who goes on to call the deal "an improbable arrangement hashed out in many months of behind-the-scenes negotiations with foundations, the State of Michigan and the Detroit Institute of Arts." The deal allows Detroit to "shed $7 billion in debt and to invest about $1.7 billion into long-neglected services and repairs." It also requires that the city relinquish ownership of the museum to the nonprofit organization that currently runs it. Museum Director Graham W.J. Beal told Art in America Magazine that they are "obviously thrilled" with Judge Steven W. Rhodes of the United States Bankruptcy Court for the Eastern District of Michigan&apos;s decision. "We&apos;re now a freestanding institution like most of our peer institutions across the country. We look forward to continuing an aggressive campaign to build our endowment." It&apos;s great to see such a positive outcome and we hope the city as a whole can make a full recovery in the coming years.